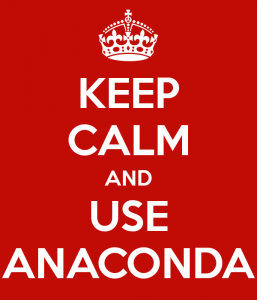 and analytics which saved me much time and headache, Anaconda. Sometimes the outcome of an experiment is a very unexpected result for the researcher. This happens often in running imperial results on economic theories. Peter Kennedy lists the source of such problems and examples in his paper, “Oh No! I Got the Wrong Sign! What Should I Do?” by Peter Kennedy. Here is a summary of the most important things that a researcher should look for when running an experiment. Hoover (1995, 243) “ . . . data mining is misunderstood, and once it is properly understood, it is seen to be no sin at all.” Needless to say that the experiment design and researcher’s approach in arriving at a conclusion play a key role in making statistical analysis and data mining methods a useless endeavor or a powerful tool. I recently used coursera downloader. I highly recommend the tool if you need to download resources from Coursea or other websites. A ground breaking result in data mining! Raspberry Pi is a compony focusing on inexpensive and tiny computers. A creditcard-sized computer with 2 USB, HDMI, ethernet and Sd ports. All of these and a price tag of $35 is not the most exciting things that Raspberry Pi offers. It includes some general purpose IO pins which enables developers and inventors to use this powerful and tiny computing power in different robots, machines, devices. Last week I revamped my website moving from Joomla to wordpress. I had some of the same reasons in the article in Forbes. More than half of CMSs use wordpress (see CMS usage statistics). You can see the live activity on wordpress here.